A week after going on an indefinite leave of absence, Travis Kalanick has resigned as Uber CEO. “I love Uber more than anything in the world and at this difficult moment in my personal life I have accepted the investors request to step aside so that Uber can go back to building rather than be distracted with another fight,” he said in a statement. He had lost his mother in a tragic boating accident earlier this month. Kalanick was pressured into resigning after hours of drama involving Uber’s investors, the New York Times reported. Yesterday, five of Uber’s major investors had demanded that the chief executive resign immediately. The investors included one of Uber’s biggest shareholders, the venture capital firm Benchmark, which has one of its partners, Bill Gurley, on Uber’s board. The investors made their demand for Kalanick to resign in a letter delivered to him while he was in Chicago. The letter was titled “Moving Uber forward”, the investors demanded that Kalanick immediately leave and Uber needed a change in leadership. Kalanick reportedly consulted with a member of Uber’s board, and after hours of discussions, agreed to step down. He’ll remain on Uber’s board of directors. Just last week, Uber had announced that Kalanick was going on an indefinite leave of absence. “It’s hard to put a timeline on this – it may be shorter or longer than we might expect,” he’d written in a letter to his staff, signing it off with a “See you soon”. Over the last week, Kalanick had not given any indications that he was going to resign, having repeatedly shared Uber focussed updates on his social media. But it appears that Uber’s investors have had enough of the scandals the company has been embroiled in over the last few years. Uber was thrown into turmoil following the allegations of Susan Fowler, an ex-employee who’d written a viral blogpost detailing the sexual harassment she’d faced while at the company. Following her account, several other Uber women employees had also come out with similar stories of their own, prompting the company to launch an investigation into what outsiders thought was its toxic and overly aggressive work culture. 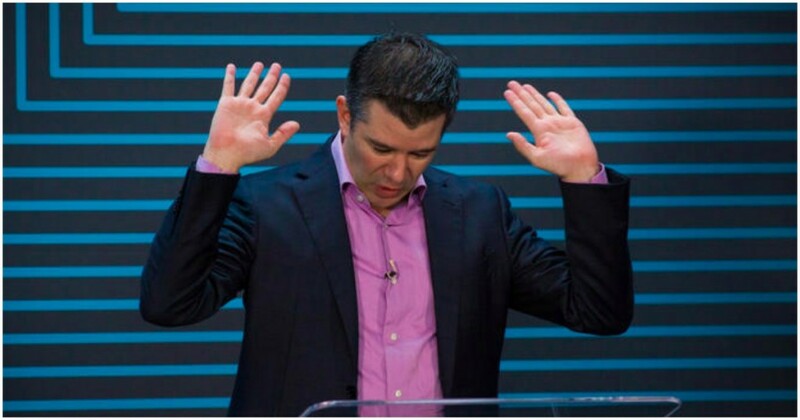 Amidst all this, Uber had also been accused of running secret programs that hid its activities from law officials, and Kalanick had personally been recorded while in an altercation with his own Uber driver. Kalanick’s resignation, though, marks the end of an era for Uber. Kalanick grew Uber from a tiny luxury cab company in San Francisco to a global behemoth and a household name with operations in 570 cities, all in 8 short years. Scandals or not, Kalanick will definitely go down as one of Silicon Valley’s greats.